It is an exciting milestone when kids begin mark making on paper, themeselves, or even the wall.... Well, perhaps when the latter happens a happy face and exclaims of excitement are the last on your mind, but the act of holding a crayon, pencil, or marker and "writing" is a big deal for little kids! 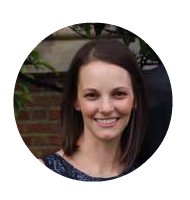 I try to present my kiddos with a lot of opportunities to make marks whether it is with chalk, on a paper, or in a writing tray. Right now we are in this "phase" with my 3 year old that if he is left alone with a marker, he typically emerges with lines all over his face, hands, and legs. "What did you do?" we all ask. He proudly states, "I'm a tiger" and gives a loud roar! Yes, it has happened more times than I'd like to admit. Alas, today we are sharing a fun mark making activity minus the markers! This week's Virtual Book Club's chosen book is Owl Babies . 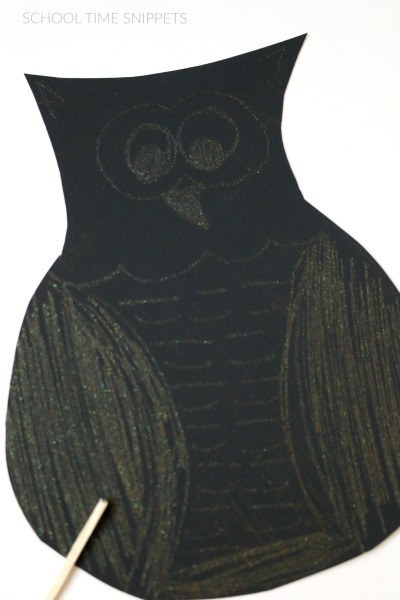 With a few materials, your child can practice making marks with this fun Scratch Art Owl craft. I mixed a little bit of dish soap in a small cup with black paint. Not sure if that step is necessary as some online tutorials did mix dish soap and paint, and some did not. Nonetheless, we did. 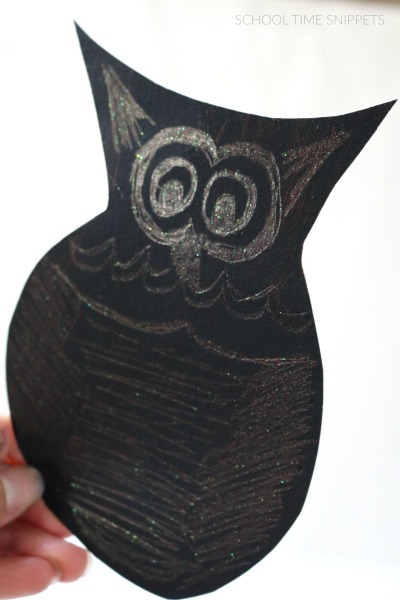 Next, cut out an owl shape from the glitter scrapbook paper and cover with the paint and soap mixture. 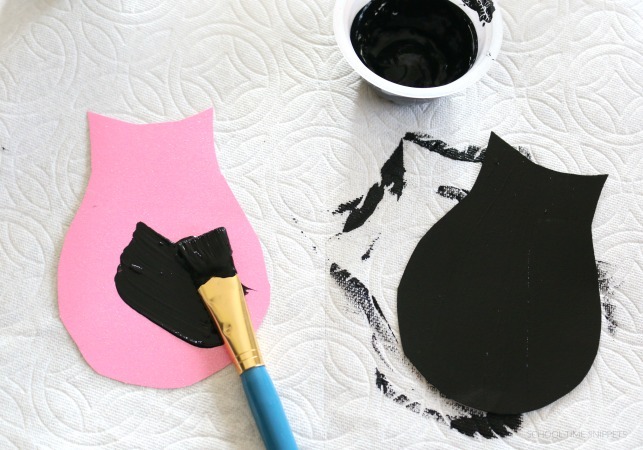 Cover the owl shape with paint and let it dry completely. Once dried, take a blunt craft stick and begin decorating your owl. Make circle eyes, triangle beak, lines for feathers, etc. Encourage your child to make marks wherever they'd like! 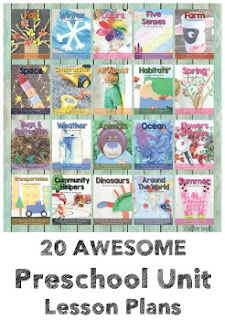 This is a wonderful pre-writing activity for young children who are not ready to start writing letters and numbers. A great way to make writing fun! From far away, it is hard to see the scratch art detail in the owls. But I love the glimmer of the glitter paper if you put the owl in direct light from the sun. 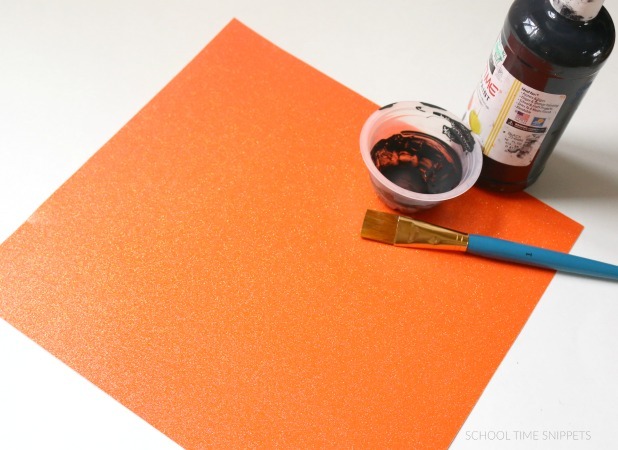 If you'd like a more colorful owl, read the Scratch Art tutorial at Artful Parent!